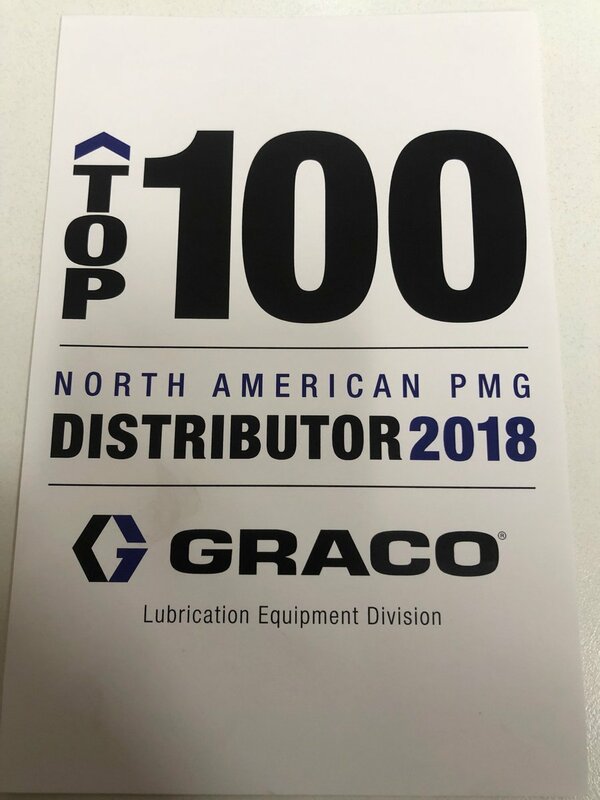 We are pleased to announce that the White Tucker Company was #37 on Graco's Top 100 Distributors list in North America. Please be sure to reach out to any of our offices for all of your industrial & lubrication equipment needs! Happy New Year from all of us here at White Tucker. Now that the holiday season has passed by, all of our locations have returned back to normal business hours. Please do not hesitate to reach out to any of them with your questions and requests. The Christmas holidays are right around the corner. As a note to our customers, White Tucker will be closed December 24th & 25th in observance of the Christmas holidays and to allow our employees to spend time with their families. We will reopen at our normal business hours on the 26th. If you have questions, please do not hesitate to reach out to us. Thank you and happy holidays! We have a new addition to announce. To go along with our already established locations of Houston, Dallas, and New Braunfels in Texas, White Tucker has a new location opening in Bridgeport. Our new warehouse is approximately 1 hour northwest of Fort Worth, TX. As another option to support our customers, this new location will have all the capabilities that all our other locations already provide. Are you interested in stopping by for a look at our new location? Please see the "Contact Us" tab in the header above for specific address details and contact information. Please feel free to contact any location for more information. Congratulations to Mike Zubel of Houston-based Landmark Industries who was recently awarded the OPW Collaborative Product Improvement Award. Mike was recognized by OPW, a Dover company and a global leader in fluid handling solutions, at the NACS show in Las Vegas in October. The purpose of this award is to acknowledge OPW partners who go above and beyond the call of duty to help improve OPW products and the industry. "The OPW Collaborative Product Improvement Award is really OPW thanking a customer for caring about our success as much as we do," said Matt Lauber, OPW Above Ground Product Manager. "We appreciate being able to partner so closely with our customers." Mike’s suggestion will further enhance usability of the “Push-Swist-Lock” technology of the OPW 68EZR Reconnectable Breakaway. Douglas Olenick, OPW Product Manager of CleanEnergy was part of the original team that listened to Zubel's feedback. "Not every customer is going to handle a product the way an engineer plans," said Olenick. "Michael's feedback and insight really gave our engineers something to think about. That does not always happen and that's why he is so deserving." "This was a complete surprise to Michael," said Lauber. "This is a customer who sat down in his office, looked at a product and said I love this, but I think it could be better. He did this, not because we asked him to, but because he saw something to help improve it. That is the very essence of this award." For more information about OPW products contact us at 800-777-9826. Founded in 1944, Franklin Electric first started manufacturing submersible pumps for petroleum products in the 1960’s. Service stations in 1960 had shown no basic variation for 35 years, but they have changed a lot since then. We asked our product managers to give us insight into the trends that have affected service stations. Service Station At NightFilling stations have been around since 1888 in Germany; early filling stations were roadside dispensers using hand pumps. The first off-road canopied station was built in 1913 in the USA but these did not become widespread until the 1950s. Once purpose-built sites were constructed off-road additional automotive products and services were added to create service stations. The first 24-hour convenience store opened in 1962. By 1971, only 6.8% of all convenience stores sold motor fuels; today, 83% of convenience stores sell fuels, and U.S. convenience stores sell an estimated 80% of all the motor fuels purchased in the country. In the early 1990s hypermarkets – large supermarkets, discounters and mass merchandisers like Walmart and Costco – begin to sell fuel. Today, there are approximately 5,000 hypermarket stores selling fuel, representing an estimated 12% of fuels sold in the USA. The history of USA service stations shows a trend from basic filling stations, to service stations to convenience stores and eventually hypermarkets. It’s worth noting then that ‘service station’ has a different meaning in and out of the USA. In the USA a filling station that also offers services such as oil changes, free air for tires and mechanical repairs to automobiles is called a service station. Until the 1970s the vast majority of gas stations were service stations; now only a minority are. In the UK, a 'service station' refers to much larger facilities, usually attached to motorways, which provide food outlets, large parking areas, and often other services such as hotels and shops in addition to 24-hour fuel supplies and a higher standard of restrooms. UK service stations do not usually repair automobiles. The first self-service dispensers were introduced in the USA in 1947, although they still required an attendant to reset the pumps after each fueling and also collect the money at the fueling island. By 1964 the first remote self-service station is created, eliminating the need for an attendant at the pump and ushering in the modern era of self-service fueling. By the 1970’s the majority of service stations were self-service. The design of dispensers also differs inside and out of the USA; in Europe and Australia the customer selects one of several color-coded nozzles depending on the fuel required, while in most stations in Canada and the USA the pump has a single nozzle and motorists select the desired product by pressing a button. In 1982 pay-at-pump is introduced in Europe and it introduced in the USA in 1986. Only 13% of convenience stores have the technology by 1994, but 80% of convenience stores are using the technology by 2002, and virtually all stores do today. Steel Petrol Pipe Manifold Chamber - Leak TrapThe construction of filling stations in terms of piping and containment from the early 1900s to the 1960s remained generally unchanged. Steel pipe was used for the product lines and fuel was delivered using hand pumps or suction pumps, depending on the location and the time of construction of the station. In the USA, when filling stations reached their end-of-life the entire area would be filled in with concrete and a new station built elsewhere. 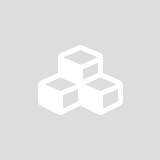 Polyethylene Pipe Lightweight And FlexibleBy the 1980’s, steel pipe has been recognized as prone to corrosion. Steel pipe began to be replaced with fiberglass pipework in some areas. Fiberglass pipework proved difficult to join in hot or cold environments due to the messy glues and epoxy required, and could also be brittle. Eventually, semi-rigid pipework systems such as APT and UPP became increasingly popular. Lightweight, easy to install and featuring advanced electrofusion technology, semi-rigid pipework rapidly became regarded as industry standard in the UK, USA and parts of Europe. Many parts of the world still use steel pipework, particularly in countries with less stringent environmental protection laws, but the overall trend shows steel being phased out. After the Clean Air Act was passed in 1970 in the USA, making the newly-established Environmental Protection Agency responsible for protecting and improving the nation’s air quality, service stations began to focus more on environmental obligations. In 1973 the U.S. Environmental Protection Agency (EPA) issues regulations calling for the incremental reduction of tetraethyl lead (TEL) in gasoline. TEL had helped reduce engine knock and spurred the way for the development of high-power, high-compression engines. Starting in 1975, U.S. automakers respond by equipping new cars with pollution-reducing catalytic converters designed to run only on unleaded fuel. In 1988 in the USA underground storage regulations were passed, requiring all operators to upgrade their storage tank systems with spill-prevention and leak detection equipment within a decade. Tens of thousands of stations close their operations over the next decade rather than invest in the costly upgrades, while convenience store owners invest millions of dollars to ensure that their underground storage tanks are compliant with current regulations.This heralded a shift in mindset from annual checks to detect leaks to real-time leak prevention with Electronic Leak Detection systems and a move towards double wall pipework to prevent leaks. We had a great time at the PEI NACS show in Vegas last week and were able to visit with many of our manufacturers and some of our friends from Husky, Morrison Brothers and OPW. At the NACS general session Henry Armour NACS President and CEO told attendees, “We’ve been hard at work developing tools to help you defend and grow your businesses." Armour highlighted the issues and opportunities facing the industry and how NACS is addressing them with the help of the association’s subsidiaries and affiliated organizations. It was a fantastic show with more than 24,000 attendees, interesting and informative educational sessions, introduction of some great new products and just a wonderful opportunity to connect with customers, manufacturers and industry leaders. OPW has enhanced its popular stand-alone Petro Vend 100® Fuel Control System to offer an upgradeable feature set that will deliver increased capacity to new sites and help small commercial fuel sites expand as operations grow. The Petro Vend 100’s new features include the ability to scale up from 50 to 250 or 1,000 users and from two to four fueling positions. The new PV100 also offers Direct Pump Control for Wayne or Gasboy® dispensers, which reduces installation, wire and wiring costs. Driver and vehicle card capabilities allow dual card operation, while ChipKey®, magnetic card and proximity card/key upgrades enhance dispenser activation security. The Petro Vend 100 is available in three new aluminum pedestal sizes, including sizes that are Americans with Disabilities Act compliant. “OPW’s enhanced Petro Vend 100 delivers the accountability that our customers have come to expect, while the new features make the PV100 a ‘future ready’ fuel control asset that will help sites expand as needs dictate,” said Jeremy Lewis, Commercial Business Development Manager – Fuel Control. As a turnkey system, the Petro Vend 100 Fuel Control System ships ready to use. As a stand-alone, field-upgradeable system, the PV100 is designed to minimize additional equipment and service costs, requiring only power, pulser and hose-control line connections in order to begin fueling operations. The PV100 will be available through OPW distributors beginning in November 2015. * Gasboy® branded products are manufactured by Gilbarco Veeder-Root, part of Danaher Corporation; Wayne dispensers are manufactured by Wayne Fueling Systems. In 1930, Underwriters Laboratories (UL) published UL 842, which became the standard for fuel-dispensing nozzles. Now, 85 years later, UL 842 has been replaced by tougher contemporary guidelines: UL 2586, 2586A and 2586B. These new standards promise to improve fuel-nozzle durability and safety, but the changes have left many fuel retailers with questions. Here are answers to give retailers the information they need to assure their customers have the safest and best fueling experience possible. Simply put, UL 842 is out of date for today’s fuel blends. Twenty years ago, transportation fuel contained little to no renewable biofuels (e.g., ethanol or biodiesel). Federal programs such as the Renewable Fuel Standard (RFS) now require fuel stations to sell transportation fuels that contain a minimum volume of renewable biofuels. Since the introduction of the RFS in 2005, the amount of renewable biofuel used has increased and will only continue to do so. Fuels containing biofuels, such as gasoline with ethanol, have been proven to degrade the construction, material and performance of some nozzles. UL 2586, 2586A and 2586B ensure the safety of consumers and proper function of fuel nozzles. What does it mean to be UL 2586-approved? To be approved under UL 2586, hose-nozzle valves manufactured after April 30, 2015, must pass new tests and include proper markings. Specifically, under the previous standard, any automatic-shut-off nozzle that passed a 100,000-cycle endurance test at 30 pounds per square inch (psi) qualified as compliant. UL 2586 now requires each nozzle to pass 100,000 cycles at its maximum rated pressure of 50 psi. Testing at the maximum rated pressure should ensure each nozzle performs to the highest standard time after time. Prior to UL 2586, it was not mandatory for internal components of fuel nozzles to be tested outside of the nozzle. Referred to as “exceptions testing,” manufacturers could bypass testing of internal components by simply submitting a nozzle and hoping it received UL approval. If the nozzle passed, all of its components passed as well. Today, UL 2586 prohibits exceptions testing and requires components be UL 157-approved before they can be used inside nozzles seeking UL 2586 approval. By controlling the components used within nozzles, UL aims to eliminate inferior gaskets and seals that fail because of the high alcohol content of ethanol blends. In addition to passing specific tests, each UL 2586-approved nozzle must be marked for the appropriate fuel-type usage. Installers of the new nozzles will be able to quickly and easily identify the appropriate fuel type and origin of each nozzle, helping to keep users safe from the installation of incorrect or incompatible hanging hardware. UL 2586 is the nozzle-specific test standard for gasoline and gasoline/ethanol blends with nominal ethanol concentrations up to 10%, diesel, biodiesel, diesel/biodiesel blends with nominal diesel concentrations up to 5%, kerosene and fuel oil. UL 2586A is the nozzle-specific test standard for gasoline and gasoline/ethanol blends with nominal ethanol concentrations up to 85%. UL 2586B is the nozzle-specific test standard for diesel, biodiesel and diesel/biodiesel blends with nominal biodiesel concentrations up to 20%. Many retailers have complained of the large gap in compatibility for ethanol content between UL 2586 and UL 2586A. To create lasting standards, UL chose levels based on predicted increases of ethanol concentrations. While it may seem unfair for today’s stations that carry E15 blends, these standards were created to ensure hanging hardware met the functionality and safety needs of retailers and consumers well into the future. What changes will retailers notice? Beyond the visible markings, retailers will probably notice only one other change: Hold open racks can be installed only on nozzles that have a “no pressure, no flow device” or an interlock. By removing the ability of a nozzle to unintentionally dispense fuel in prepay situations, UL 2586 should increase the overall safety at the pump and decrease fuel waste. UL 2586 may not require any immediate action by a fuel retailer. OPW confirmed with UL that any nozzles currently in use or any unused nozzles manufactured before April 30, 2015, could be used until all inventories are consumed. The UL Listing for nozzles manufactured before April 30, 2015, remains in effect for the life of the nozzles. Through the creation of UL 2586, retailers can rest assured that products manufactured today will be capable of safely handling the fuels of tomorrow. The OPW 200TG Tank Gauge is in our Product Spotlight at a special price of $383.97!! This tank gauge is designed for reading liquid levels in horizontal or vertical above ground storage tanks. The 200TG Tank Gauge provides an accurate numerical counter readout, eliminating the need for any on-site manual gauging. It is vapor tight allowing for standard tank pressure testing and sealing up to 25-psig. The angled face improves visibility from the ground on large diameter tanks. May be read easily up to 30 feet away. The swivel adaptor base allows for 360° of rotation of gauge face for easy viewing wherever needed. Easy to install. Corrosion resistant construction assures long live in many fluids. Designed to float in all approved fuels with a specific gravity of 0.65 and greater. Black letters on white background for ultimate contrast and better visibility. No annual maintenance required. In 1826 Samuel Morey experimented with an internal combustion chemical mixture that used ethanol as fuel. His discovery was overlooked due to the success of steam power and received little attention until 1860. A popular fuel in the U.S. before petroleum was a blend of alcohol and turpentine called "camphene", also known as "burning fluid". The discovery of a ready supply of oil in Pennsylvania and taxation of burning fluid made kerosene a more popular fuel. In 1896, Henry Ford designed his first car, the "Quadricycle" to run on pure ethanol. In 1908 the Ford Model T was capable of running on gasoline, ethanol or a combination. Ford continued to advocate for ethanol fuel even during prohibition, but lower prices caused gasoline to prevail. Gasoline containing up to 10% ethanol began a decades-long growth in the United States in the late 1970s. The steep growth in 21st century ethanol consumption was driven by federal legislation aimed to reduce oil consumption and enhance energy security. Why the new UL standards? With the increased usage of gasoline/ethanol blend fuels, UL began certifying (listing) dispensing equipment and components for use with gasoline/ethanol blends with a nominal ethanol concentration greater than 10% (such as E85, E25 and other blends). High concentration of ethanol or other alcohols within blended fuels make these fuels more corrosive than traditional gasoline and gasohol (10 percent ethanol or E10). This could result in the fuel chemically degrading the materials used in fuel-dispenser components, which could ultimately affect the dispenser’s ability to contain the fuel. In Part 2 we will discuss the history of gasoline/ethanol blends. May 24th - 30th is 2015 National Hurricane Preparedness Week. This along with the government's Resolve To Be Ready Campaign, #Ready2015, encourages us to prepare for severe weather and natural disasters, particularly in the mid-west, and states bordering the gulf and east coasts. With the official start of hurricane season quickly approaching on June 1st and lasting all the way through November 30th, now is the time to take inventory of your disaster plan and provisions. How quickly you can recover from a disaster depends on how well you have planned and prepared for one. Fill-Rite makes DC pumps, hand pumps and meters that are most effective for recovery in the critical days following a disaster. Our Product Spotlight is the Fill-Rite 12 Volt DC Pump - FR1210G. This industry standard DC pump dispenses up to 15 GPM (57 LPM). The FR1210G is ideal for pumping gas, diesel fuel and kerosene. With an amp draw that's easy on your DC power source. Explosion-proof UL/cUL listed HP motor. The FR1210G comes complete with 12 foot static wire hose and manual nozzle. What is EMV? How does it work? EMV technology is transforming the U.S. payment industry, bringing a whole new experience to checkout counters. EMV cards are stepping in as a more secure way to pay. These cards are equipped with a “smart chip” which is capable of much more sophisticated authentication than magnetic stripe cards. Essentially, there is a fully operating computer system embedded in every EMV card. The chip is tamper-proof, making the card nearly impossible to clone. What is EMV? EMV is a security framework that defines the payment interaction at the physical, electrical, date and application levels between chip cards and payment devices. These interactions are often referred to EMV level 1 and 2 requirements. EMVCo was created by the payment networks to be a neutral party in making this standard framework. How does it work? Smart cards are embedded with a chip that is encrypted with data. EMV enabled devices have the ability to read data stored on a chip within the card. During the transaction authorization process, strong cryptographic functions are used to validate the authenticity of the card holder. Best of all when a customer pays using and EMV enabled device, the device is instantly identified as an authentic, approved payment instrument through a process called dynamic authentication. When used with a PIN, the chip proves the customer is paying with their own card.